OPEC’s second largest oil producer is in severe disarray just as the world has come to rely upon Iraq for greater energy supplies. Iraq is facing its biggest security threat in years following a surprise attack by Sunni militants on Mosul. In the June 10 attack on Iraq’s second largest city, members of the Islamic State of Iraq and Syria (ISIS) surprised Iraq’s security forces, driving them out and storming military bases, police stations and the provincial governor’s headquarters. 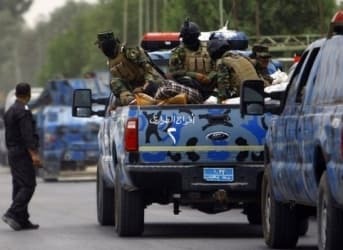 Government security forces shed their uniforms to avoid capture and abandoned their posts as Prime Minister Nouri Al-Maliki declared a state of emergency in the entire country. Eyewitness reports said civilians were streaming out of Mosul, fleeing the violence. The attack by the militant Sunni group is not the first. In January, ISIS attacked Ramadi and Fallujah in Anbar province, briefly taking control of the cities entirely. Despite Maliki’s attempts to pacify the region, ISIS has retained control of some territory in Anbar. Iraq has been deeply divided, with Maliki’s government becoming increasingly authoritarian. Sunni groups claim that Maliki discriminates and unfairly targets them. But the problem appears to be a cycle of fear and distrust; as Sunnis resist oppression and increasingly take to the streets, Maliki tries to strengthen his position by cracking down. The January attacks by ISIS came after Maliki bulldozed a Sunni protest encampment in Ramadi, and intentionally conflated Sunni protestors with Al-Qaeda terrorists. Support for his government vanished in Anbar and Maliki’s security forces withdrew as a result, paving the way for an ISIS takeover. (For a detailed rundown of the events that led to the crisis, read Kirk Sowell’s exhaustive piece in Foreign Policy from earlier this year). Now that the insurgency has spread to Mosul, the future of Iraq has again been thrown into question. Maliki’s emergency decree may not matter much. He already has consolidated enough power to act but has shown an inability to quell the violence. The turmoil in Mosul threatens to upend some of Iraq’s oil production. Most of Iraq’s oil is located in the south near Basra, but there are significant oil fields near Mosul, as well as in nearby Kurdistan. Perhaps more importantly, the fighting in Mosul has brought to a standstill the repairs to Iraq’s main oil pipeline to Turkey. One additional development that is complicating Iraq’s oil picture is the central government’s relationship with Kurdistan. After a second ship full of Kurdish oil left from the Ceyhan port in Turkey on June 9, an Iraqi government representative said that it would bring a complaint to the United Nations. The move comes even as uncertainty shrouds the ultimate destination of both tankers. The first ship still has not docked – it initially traveled towards the U.S. Gulf Coast, but reversed course and is near the shore of Morocco. While the violence in Mosul is an acute threat to Iraq’s oil industry, the lingering political conflict with Kurdistan is also holding back Iraq’s potential as an oil exporter. As I mentioned in my June 9 piece, OPEC is currently meeting in Vienna to discuss its output quota, which is expected to remain unchanged. But the oil supply picture is becoming more strained than experts predicted only a few short months ago. Iraq intended to lift its oil production to over 4 million barrels per day (bpd) this year, but that seems unlikely at this point, especially given what’s happened in Mosul. After hitting a 35-year high in February at 3.6 million bpd, production slipped the following month by almost 300,000 bpd. With other OPEC members also losing output, OPEC may need to rely upon Saudi Arabia to make up for any shortfall later this year if demand rises. As oil markets have tightened, prices have climbed. WTI is up more than 10 percent since the beginning of the year, from $93 per barrel in January to over $103 in June. Brent prices are up a more modest 3 percent, from $106 per barrel to $109. If Iraq’s security situation continues to deteriorate, it is not inconceivable that some of its production would be knocked offline. The world has come to take Iraqi oil for granted, and a significant loss of production would send prices skyrocketing. I wonder if smbdy remembers the pretext fo U.S. military forces to invade to Iraq and to kill Saddam? Did they find any MDW?! No! They did not! So we see the special way to export the "Western Walues". using gas as the instrument for geopolitical influence. it happen in Ukraine for sure!